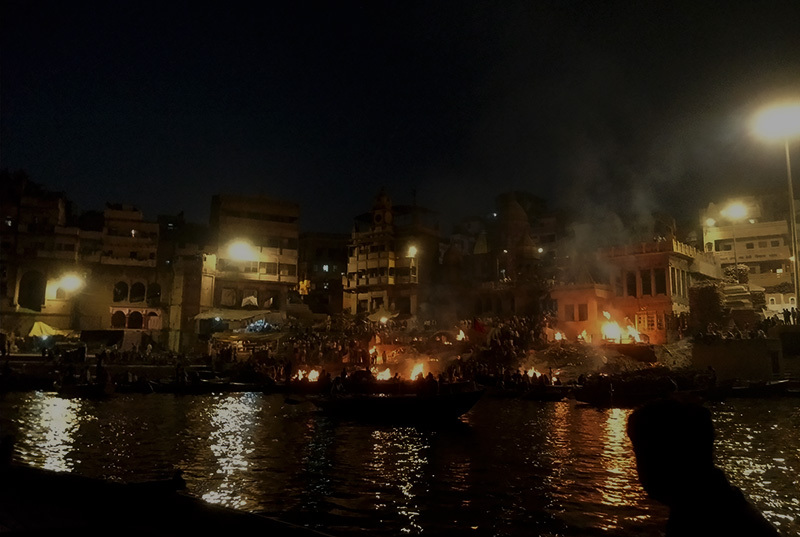 We left peaceful Bodh Gaya to head to another interesting place; a place where we would experience a sensory overload—Varanasi. 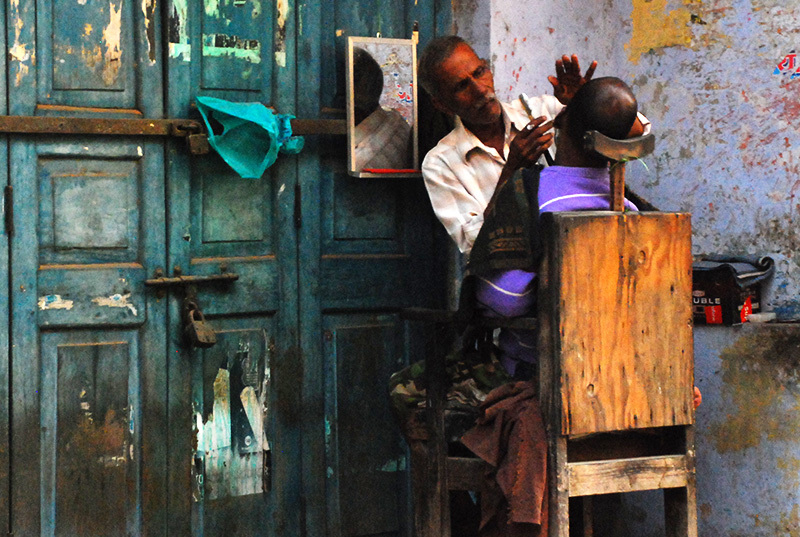 We bid adieu to peaceful Bodh Gaya, and a few hours of train journey later, found ourselves in one giant confusion known as Varanasi. 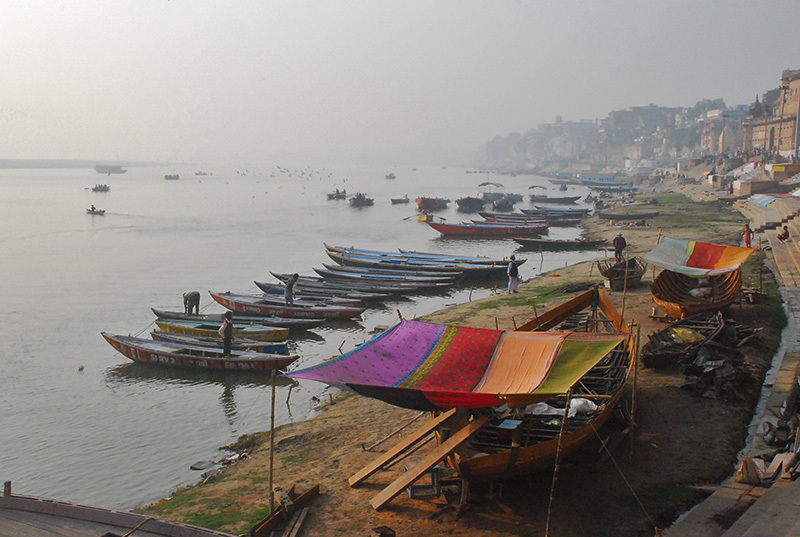 If you believe Bangalore has the worst traffic jams, you must visit Varanasi. 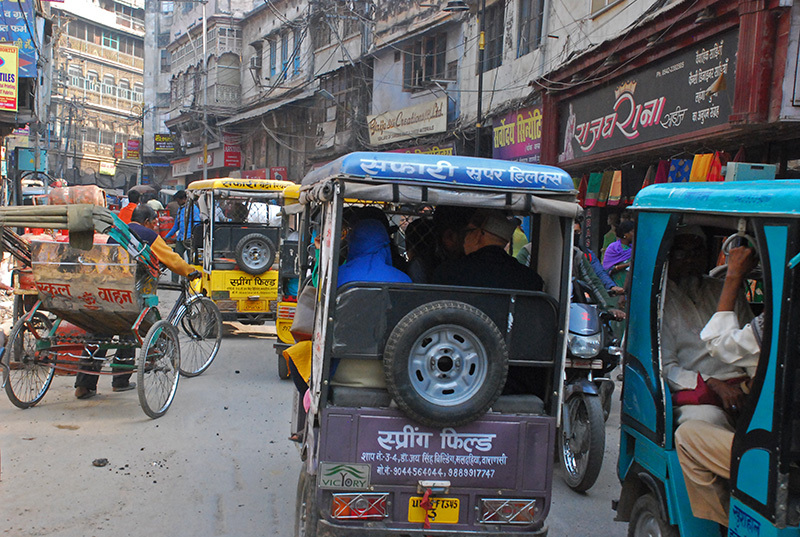 Cows, people, e-rickshaws, 2-wheelers, rickshaws, cars: all jostle for whatever little free space there is on the roads, and with horns blaring continuously. Miraculously, 8-lane traffic squeezes through a single lane without too many incidents. 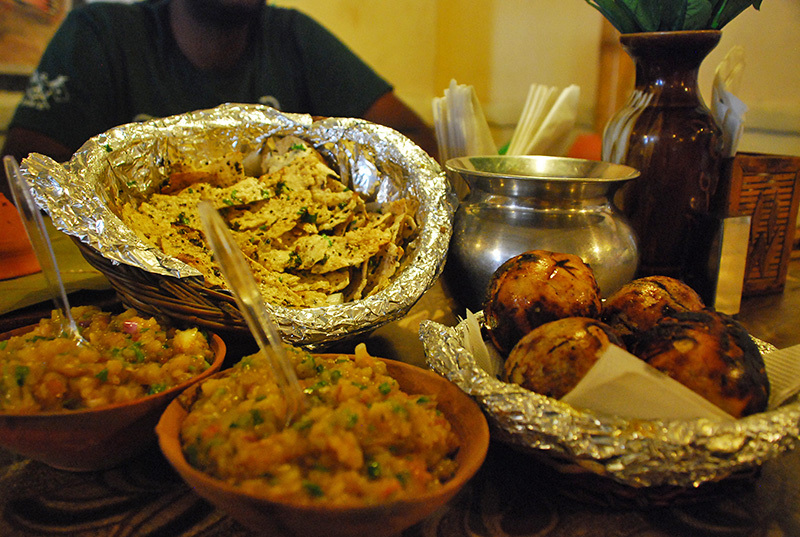 Among many other things, Varanasi is paradise for foodies. 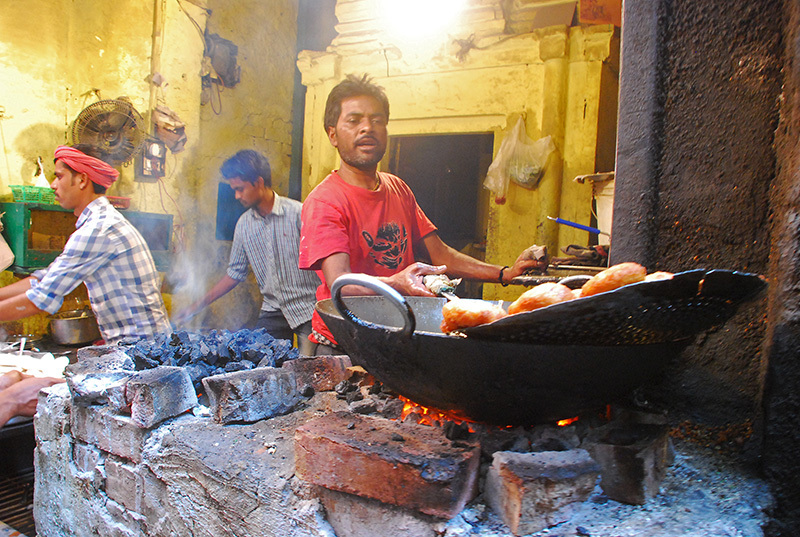 Pictured here is the ‘Blue Lassy shop’- a shop famous for its delicious lassis. 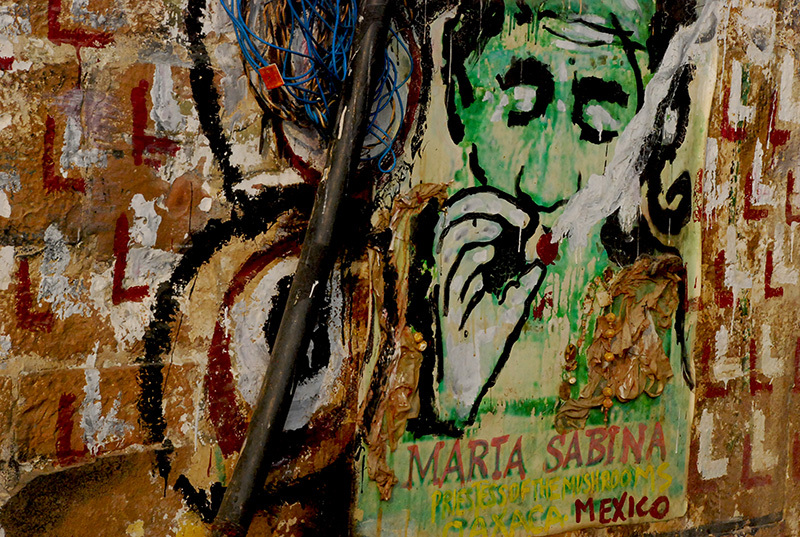 One crazy custom we noted here was that customers put up their passport-sized photo on the wall to mark their visit. 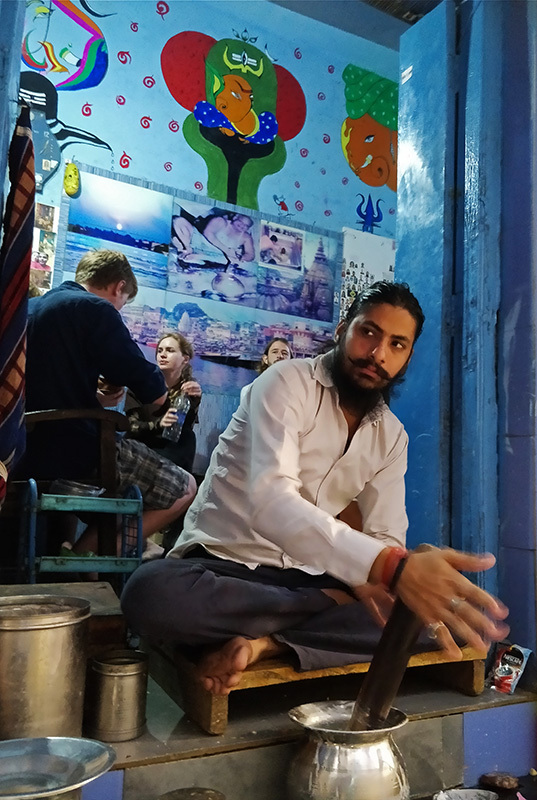 You can also get bhang lassis (a potent cannabis-laced lassi) in some Government licensed outlets in Varanasi, but I wouldn’t recommend drinking one if you have a train or flight to catch in a few hours. 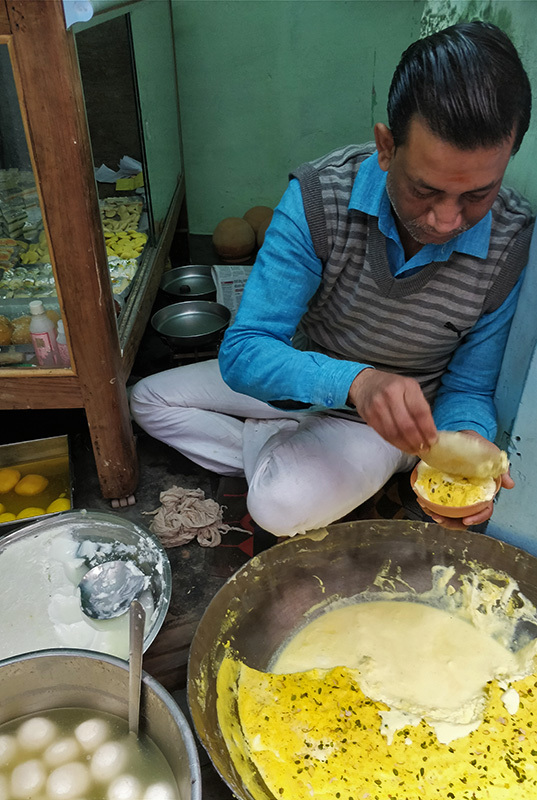 Another lovely delicacy is Malaiyo – a fluffy milk based sweet prepared only in Varanasi during winter season. 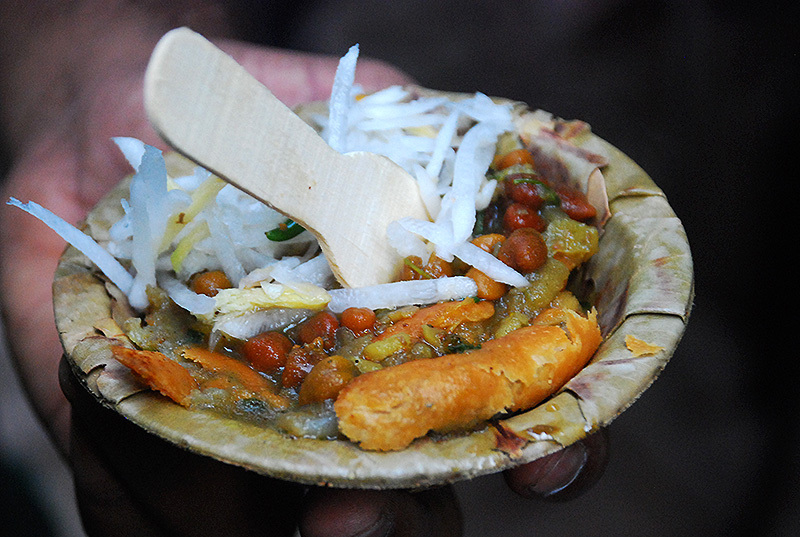 Kachori Gali is the place to go for awesome snacks in Varanasi. 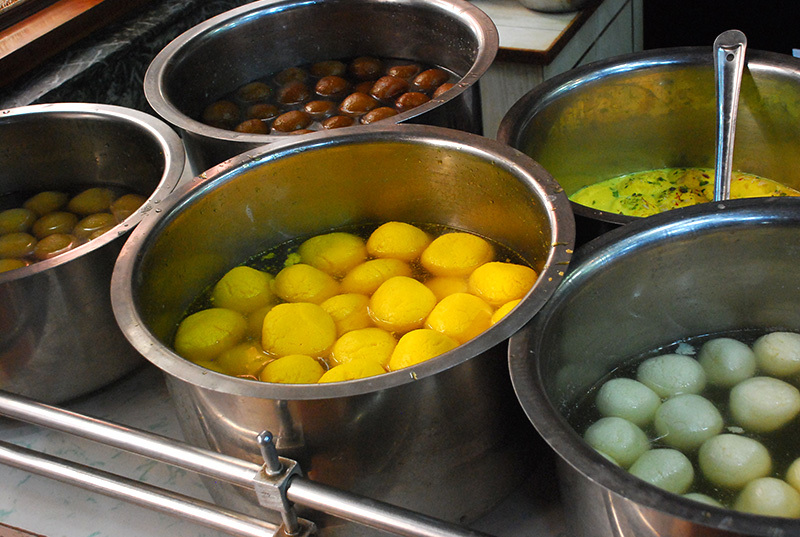 The lane has a number of shops selling sweets, kachoris, tikkis and other snacks. Suffering from sweet tooth? 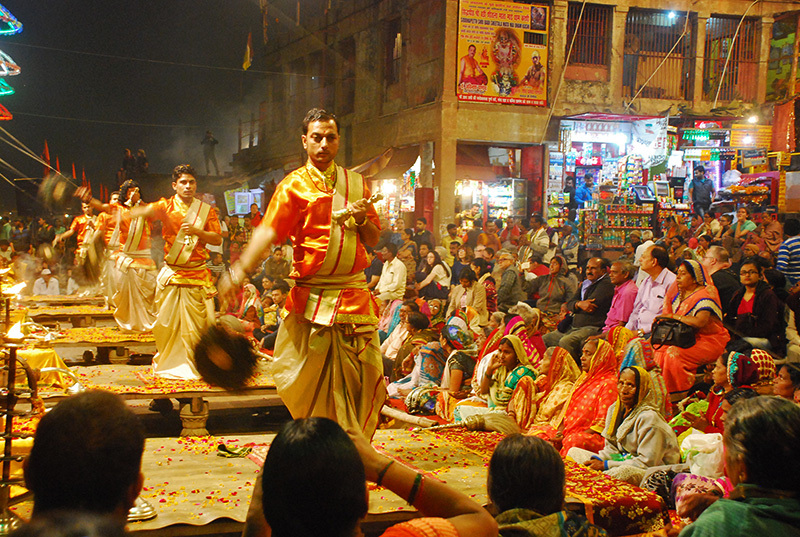 Book your travel to Varanasi now. 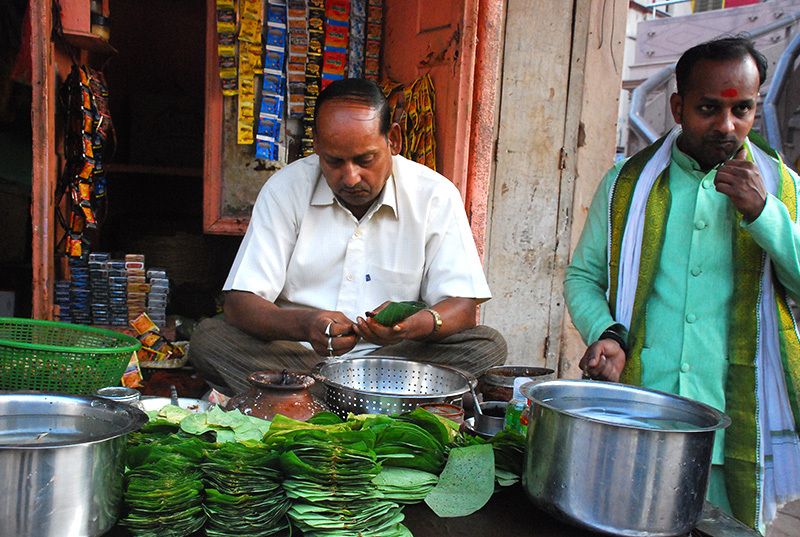 So we finally got to eat the famous Banarasi paan. In fact, we were eating one every hour. 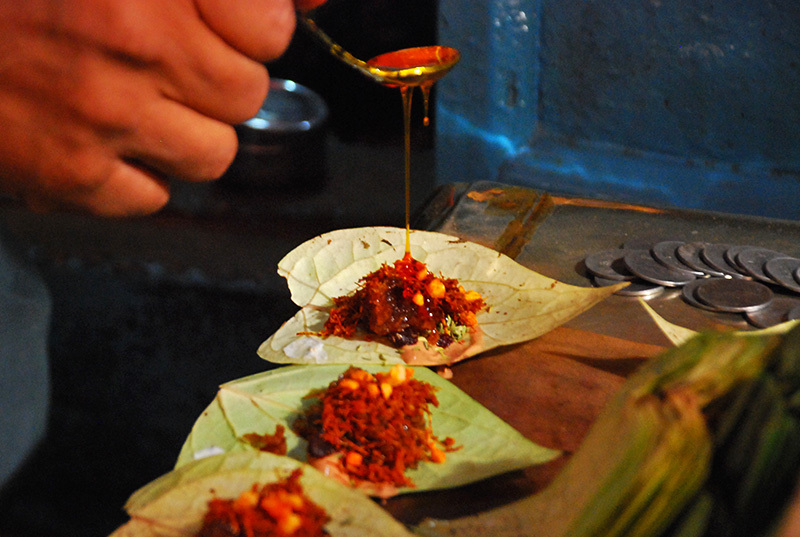 Close-up shot of the Banarasi paan. 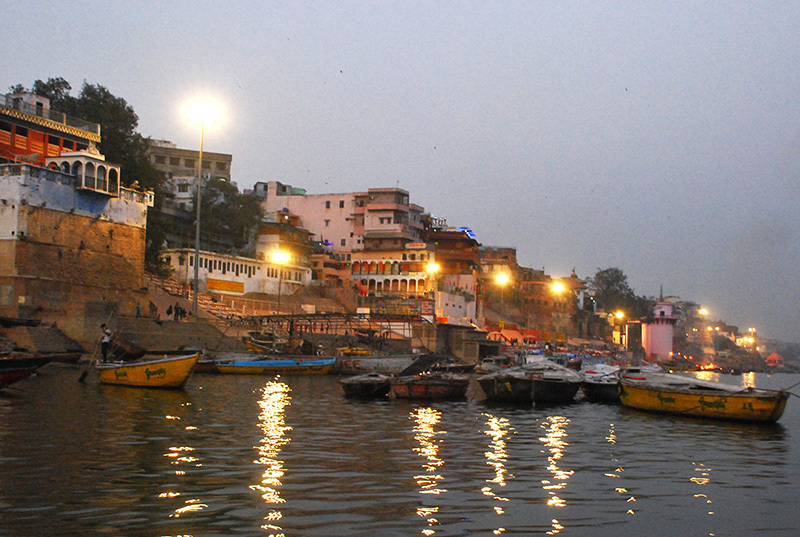 The ghats of Varanasi at dusk. 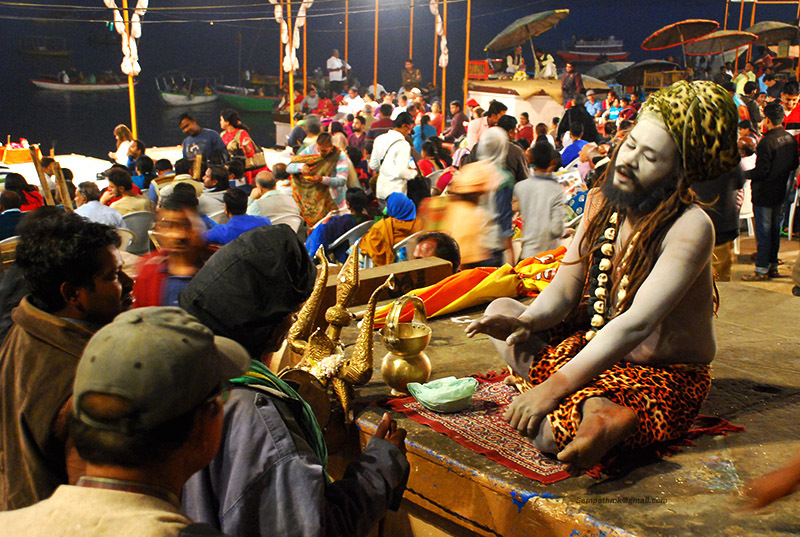 Ganga Aarti in progress at Dashashwamedh Ghat. 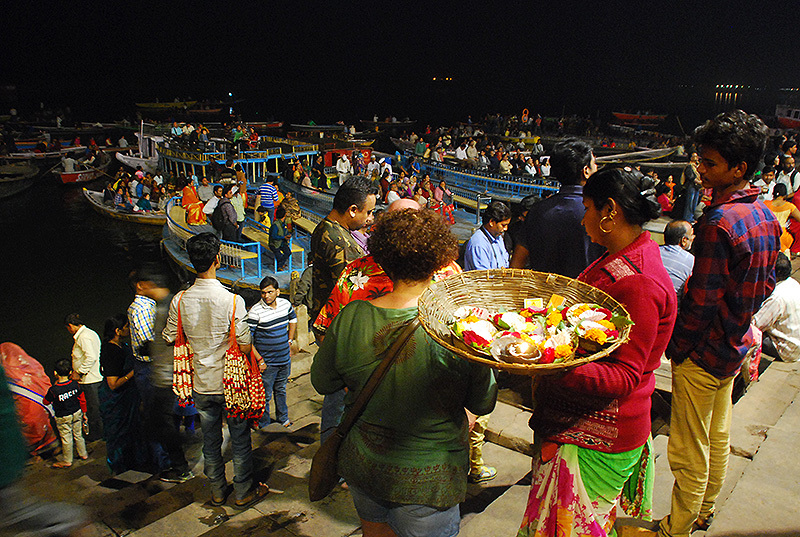 People watch the aarti from their boats. 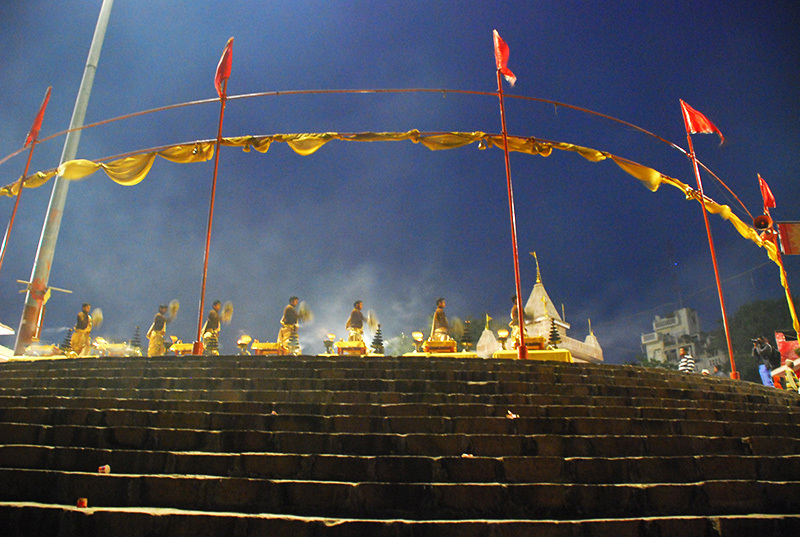 A close-up shot of the aarti. 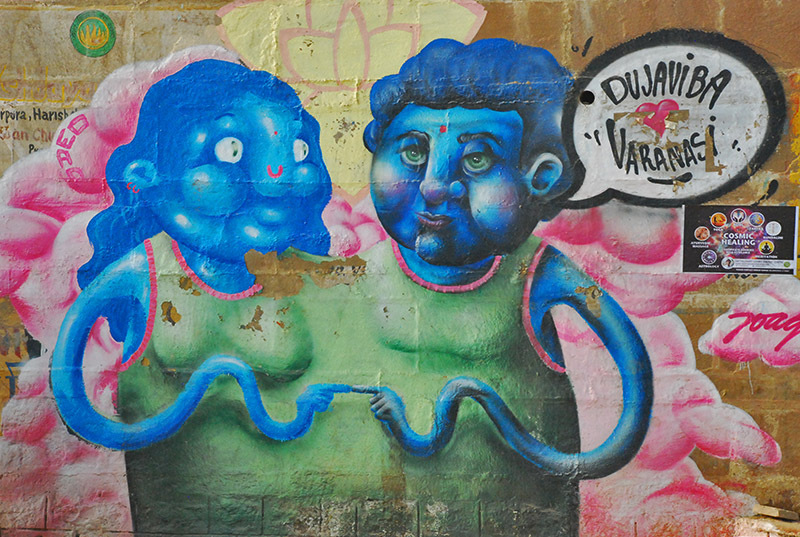 We walked across the length of the ghats. 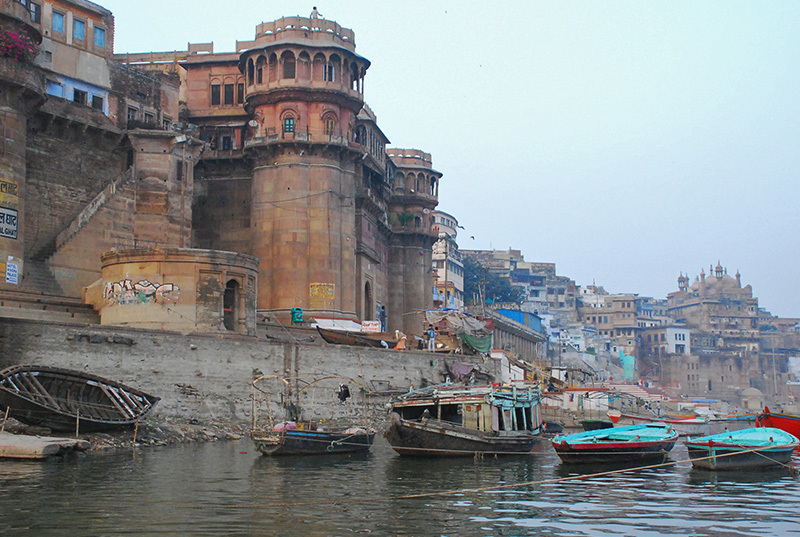 The most confronting ghat, Manikarnika ghat–where dead bodies are cremated 24 X 7. 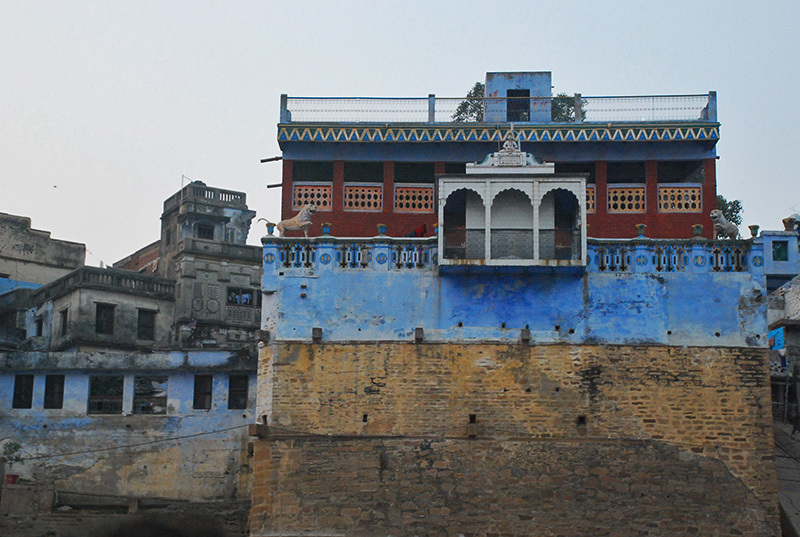 Manikarnika ghat in daylight. 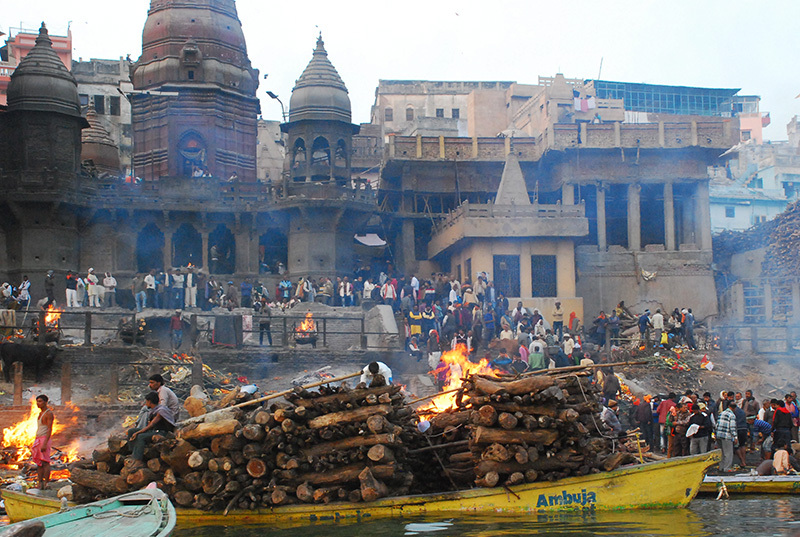 Boats keep supplying firewood continuously. 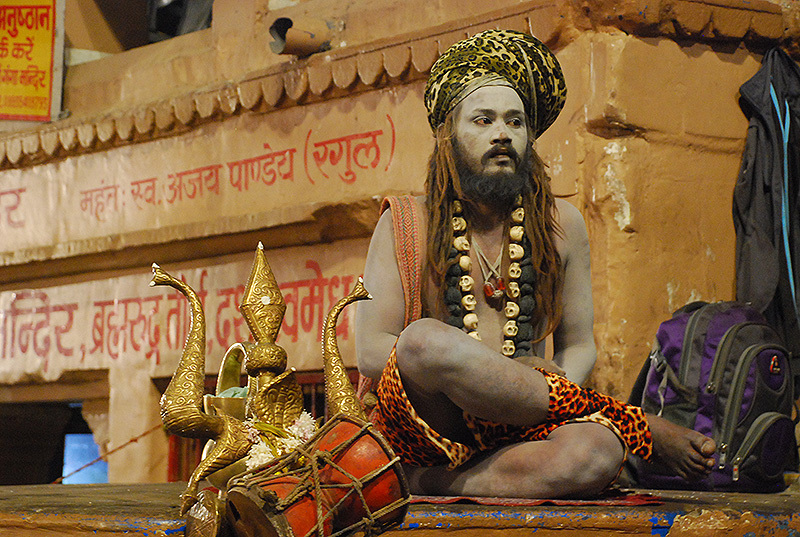 Them Sadhus sitting around the ghats. 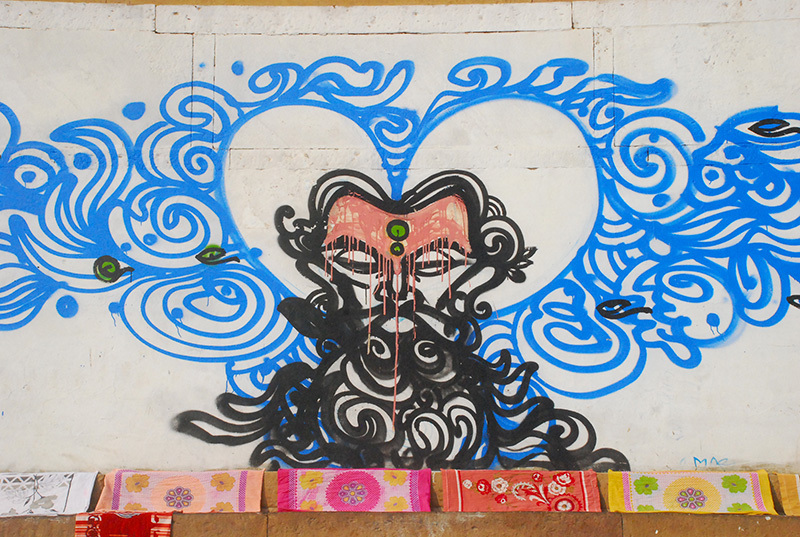 Along the ghats, you will find these occasional, beautiful graffiti. 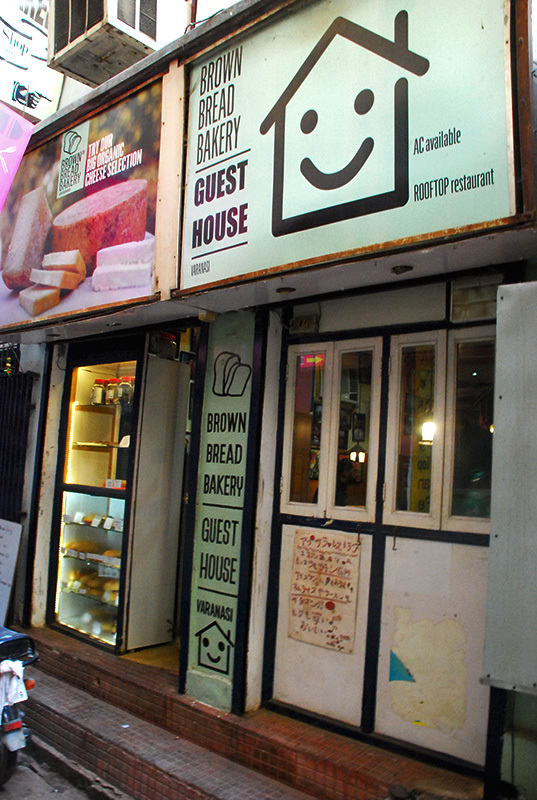 Near one of the ghats is this small, cozy bakery that serves cakes and continental food. 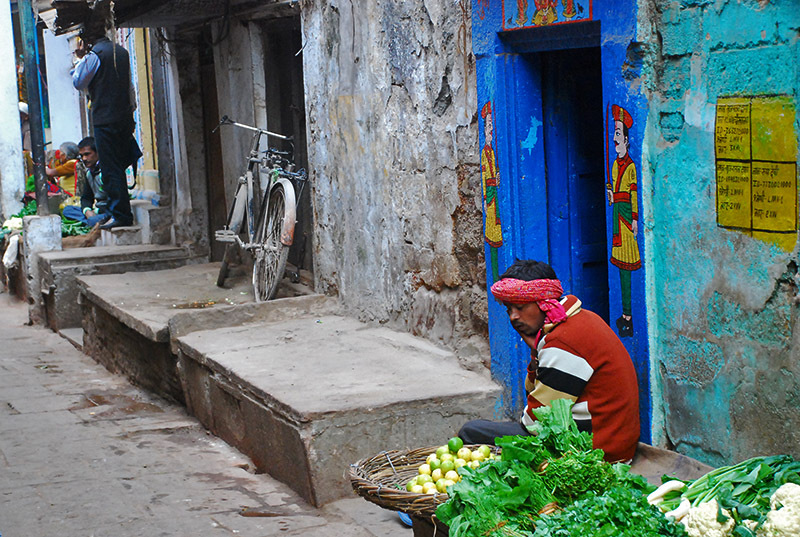 A small lane that leads to the Kashi Vishwanath temple. 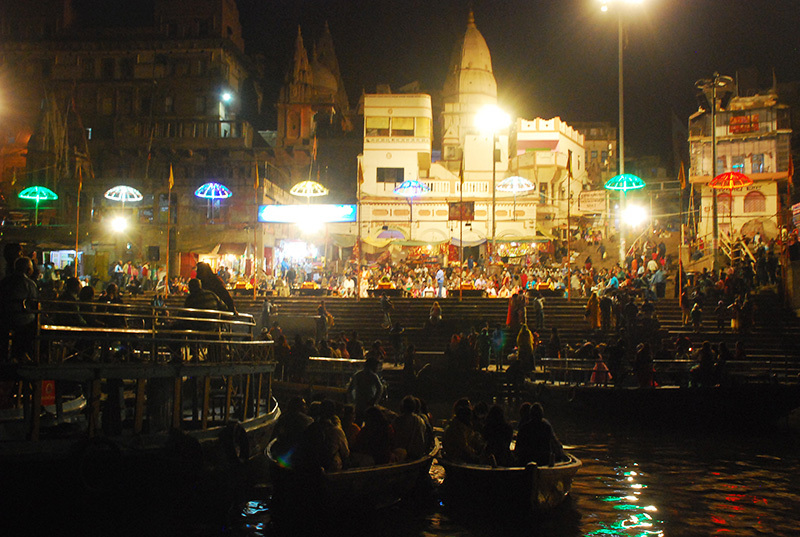 One last look at the ghats. 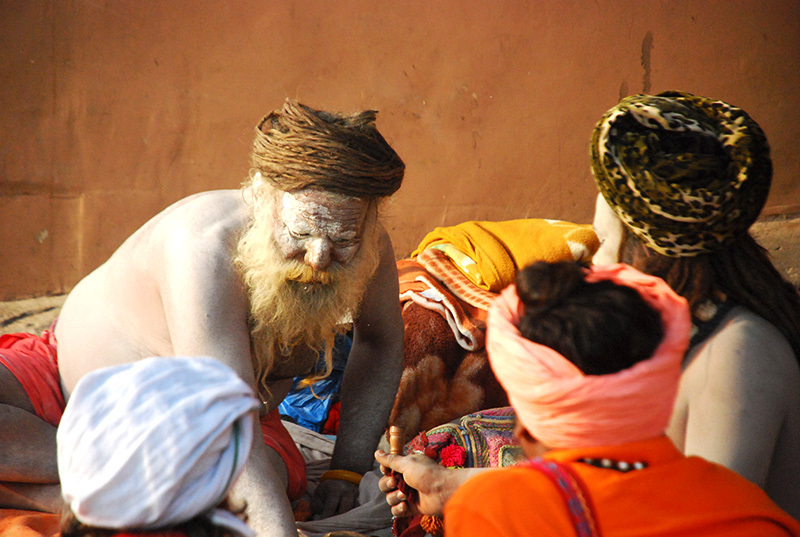 The morning aarti at Assi ghat. An end to another wonderful journey – a trip where we met the most cheerful of people, ate the most wonderful of food, experienced raw life energy, got some new perspectives, and came back to loving family.